Skateboarder and child actor who appeared in the directorial debut of Jonah Hill, Mid-90s. 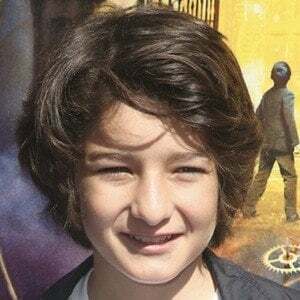 He has also played Gabriel in 2015's 1915, Bob in 2017's The Killing of a Sacred Deer and Tarby Corrigan in 2018's The House with a Clock in Its Walls. He made his acting debut in a 2013 short film called Ruined. He did voice work and motion capture for Atreus in the eighth installment of the video game God of War. He had a minor skateboarding role in the Gus Van Sant-directed film Don't Worry, He Won't Get Far on Foot.